Plochmann Lane: "Festival Express" website features cool crossword puzzle for fans to attempt. "Festival Express" website features cool crossword puzzle for fans to attempt. 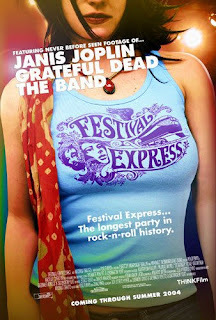 The website that honors the movie about the 1970 musical train tour Festival Express featuring The Band, Janis Joplin, The Grateful Dead & many other great artists, includes a cool crossword for music fans to try than hand @ completing. Give it a whirl!